After 22 years of dedicated service to the children and families of the community, Dr. Scott Beck decided to retire in January 2018. An avid traveler and mission trip enthusiast, he will be spending his retirement exploring new destinations and continuing to give to others through his passion for missionary work. We are thankful for his accomplishments and achievements in support of children and families here in the Suncoast region. 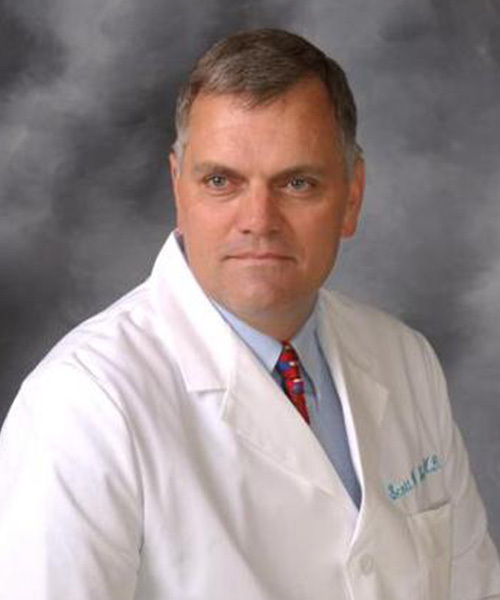 Scott W. Beck, M.D. was continuously named in Best Doctors in America from 2003-2017. He is listed in America's Top Orthopedists and America's Top Surgeons. He has been affiliated with the USF School of Medicine since 1998 and is currently an Affiliate Associate Professor in the USF Department of Orthopaedic Surgery. Dr. Beck received his medical degree from the University of Utah. After finishing his surgery internship at UC San Francisco, he went on to complete a residency in orthopaedic surgery from Creighton-Nebraska Universities Health Foundation in Omaha. He then completed his pediatric orthopaedic fellowship at San Diego Children's Hospital and UCSD. Dr. Beck is board certified in Orthopaedic Surgery and has been recertified by the American Board of Orthopaedic Surgery. He is a member of the American Academy of Orthopaedic Surgeons, the Pediatric Orthopaedic Society of North America and the Orthopaedic Trauma Association.